In the year 20XX, a deadly radiation accident leaves three staff members of the Los Alamos National Laboratory with only 72 hours to live. Their deaths inevitable, they volunteer to explore the mysterious, ever-shifting labyrinth beneath the desert facility, where a door was found leading into a never-ending darkness. But what will they find once they have stepped into shadow? 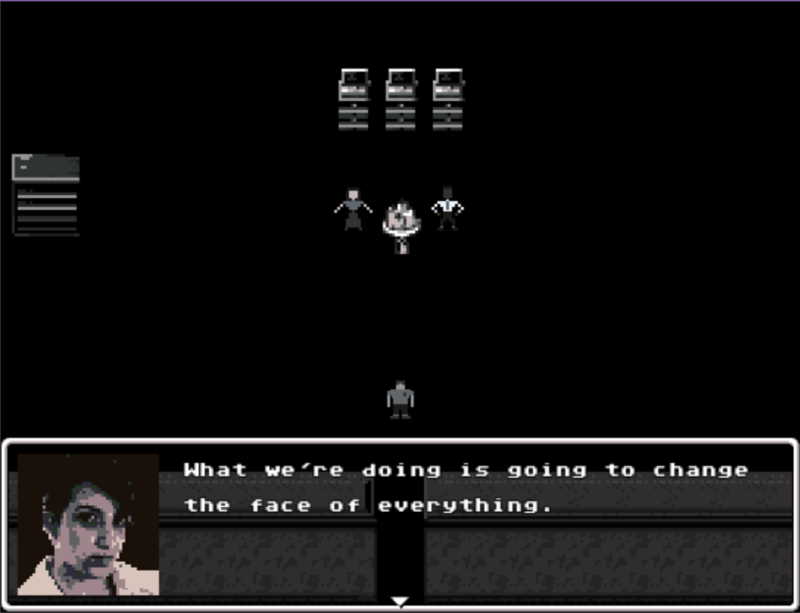 26 Gy is an experimental horror RPG with three playable explorers. 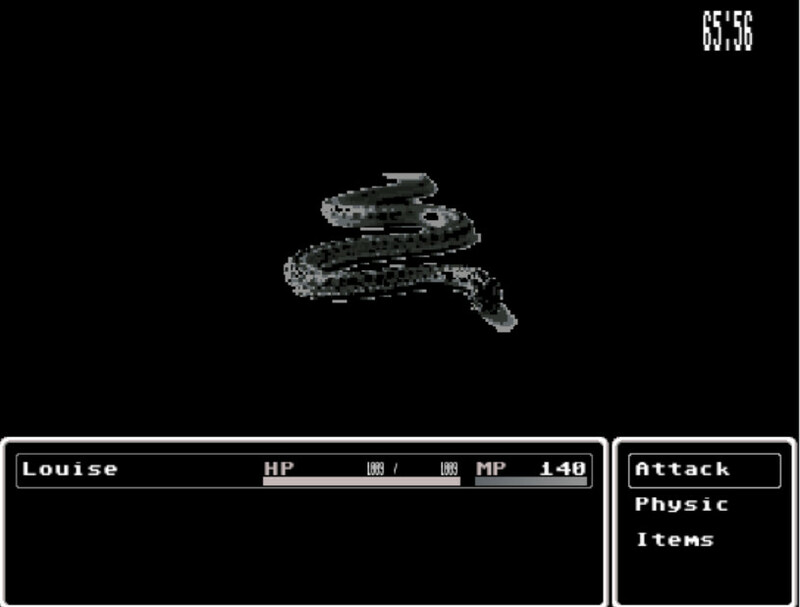 Rather than gaining experience levels and increasing stats, characters lose a level with each passing minute to represent their deteriorating condition. 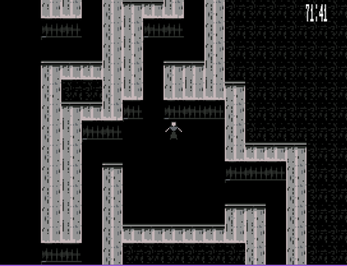 Players must explore the labyrinth to find weapons, armor, and stat bonuses to counteract the increasing effect of the radiation poisoning. 26 Gy is designed to reflect the era of PC shareware disks and pirated cassette games. It is a throwback to the bizarre adventure game on the 10-in-1 disk that you couldn't play without a manual, the RPG with the copy protection crudely hacked out that didn't make sense.